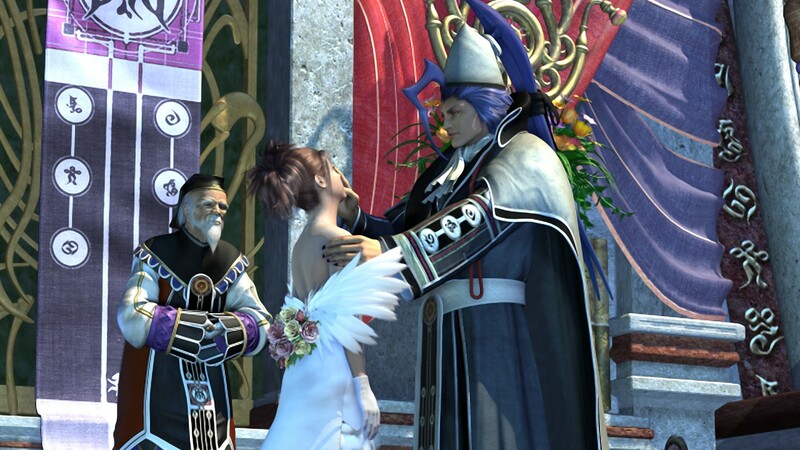 Square Enix has released a set of three brief videos showing off Final Fantasy X|X-2 HD Remaster. With less than a month to go before its Japanese release, fans can get a better look at characters Yuna and Lulu as well as field environments tuned to a few of the newly arranged music tracks that will be present in this new version of the game. Final Fantasy X|X-2 HD Remaster will release in Japan on December 26th for both PlayStation 3 and PS Vita, with a western released confirmed for March 2014 on PlayStation 3. 3rd Volume: Lulu. Amazing. Not gonna describe. You guys watch…. cause its that good……..
Lulu is one of my favorite characters ever…Idk why I created such a strong with her back when I first played the game.I think she reminds me of some of my favorite teachers at school. Need I state how good the game actually looks ? Lulu is so damn pretty! And the song playing in her video is beautiful! Never played the game, so I’m totally hyped for it! They spoil and destroy the game. I’m not the world’s biggest fan of composer Masashi Hamauzu but this song (Besaid Island) is one of his career standouts. Is it just me or looks this game graphically far form XIII/XIV? Is it really that much difference with the originals? cause they can totally remake the entire game for a “remaster”. The cut scene´s are beautiful, but cut scene´s aren’t never a problem for SQ.